King Soopers is among Kroger’s supermarket grocery retail stores. It offers everything, from basic produce to prescription pharmaceuticals. The supermarket also has its own in-house brands, such as Simple Truth and Luvsome. It was in the mid-1900s that Lloyd J. 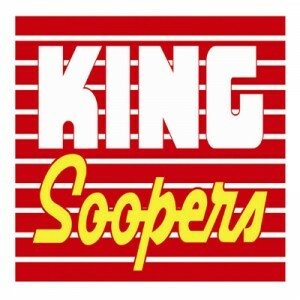 King opened the first King Soopers in Arvada. The supermarket expanded throughout the Colorado area and was eventually acquired by the Dillon Companies, which merged with Kroger several years later. The supermarket chain has dozens of branches throughout Colorado, and is arguably the most known in the state. While the total number of employees for this brand alone is unpublished, Kroger has more than 400,000 throughout the United States. The grocery store provides employees with several benefits, such as special discounts (which is generally perceived as the most advantageous). Employees who’ve been with the company for a year have access to basic health insurance and enjoy paid time off. Employees love working at King Soopers since they get store discounts, making most basic necessities much more affordable. They also appreciate the rather competitive compensation and the fast yet sufficiently comfortable pace of work. How old do you have to be to work at King Soopers? Many positions are open to applicants who are at least 16 years of age. In special cases, the company offers jobs to those at least 14 years old (approval from both the school superintendent and the district manager is required). The grocery chain typically offers an assortment of positions to interested applicants. It’s important to note though, that managerial positions are not as commonly available as entry level ones. Fresh Hourly Associate: Those given this position are expected to help customers make better and healthier eating choices, whether it’s meat, seafood, deli, or coffee. Fresh Hourly Associates are also tasked to process any special orders that customers may have, as well as assist in product production, presentation, and restocking. Frontend Hourly Associate: Aside from assisting customers and showing courtesy and sincerity in every interaction, Frontend Hourly Associates handle an ever-changing list of tasks. They may assigned to help in file maintenance and money services, and may even be given the chance to work in the Kids Korner. Clicklist Hourly Associate: Clicklist Hourly Associates are in the frontlines of the supermarket chain’s e-commerce operations. They process online orders and immediately search the store for all requested products. They are expected to follow specific instructions, meet order deadlines, and prioritize freshness whenever applicable. Certified Pharmacy Technician: Those with this position are required to embody the store’s core values, and ensure integrity, inclusion, and safety throughout their shifts. Certified Pharmacy Technicians order pharmaceutical supplies and check the accuracy of orders. They also handle payments where insurance claims are involved. Stocking Hourly Associate: Stocking Associates ensure that all departments have the necessary merchandise, paying attention to those currently in high demand. They’re also expected to answer customer queries and occasionally carry out customer transactions. Furthermore, Stocking Associates are tasked with updating price tags and shelf labels. Cake Decorator: In addition to preparing baked goods, cake decorators provide suggestions to customers, mainly to make sure that the right decision is made based on each customer’s specific needs and preferences. Cake decorators are also required to check the “best before” dates of every baked item being sold. Grocery Night-Crew Clerk: Night-Crew Clerks assist customers and process sales. Also, they are expected to monitor and check the equipment, ensuring that the right departments are informed whenever maintenance procedures should be done. Night-Crew Clerks are in charge of reporting all incidents that occur during their shift. Warehouse Associate: Warehouse Associates help in all daily warehouse operations, adhering to guidelines in workflow (such as in product sorting, equipment operation, equipment troubleshooting, and product packaging). From time to time, they may have to process special orders, particularly those coming from non-retail clients. Deli Assistant Manager: Deli Assistant Managers ensure that employees in their teams work well with one another and capable of safety handling deli equipment. They’re also expected to come up with efficient team schedules that match customer flow. Occasionally, Deli Assistant Managers face the need to help out in preparing deli items. Frontend Supervisor: Frontend Supervisors work closely with the Department Manager in making sure that all profit and sales targets are met. They are required to inform the upper management of any accidents involving employees and customers. Frontend Supervisors must ensure their branch’s compliance to all applicable laws and guidelines. Applying for your preferred position is as easy as visiting the supermarket chain’s official careers page, choosing the appropriate listing, and afterwards clicking on the “Apply Now” button. Note that signing up is necessary to proceed with the process. The company encourages interested applicants to go through their official careers portal for quick and convenient processing. It isn’t indicated anywhere on their site whether they accept walk-in applications, so it’s best to stick with the online route. When asked to complete the application form, don’t hesitate to check every field or tick box before clicking the “Submit” button. Discrepancies or errors will affect your credibility and might lower your chances of being considered for the job. Prepare a properly written resume beforehand. Your resume should only feature details relevant to your preferred position. While adding all possible information might seem like a good idea, it will just prevent the hiring manager from seeing your best qualities. Once you have landed an interview, spend time to learn everything you can about King Soopers. Knowledge of the company helps in proving that you’re genuinely enthusiastic. Of course, don’t forget the importance of coming in early for the interview. The supermarket chain’s company culture is best described as fast paced. This is, after all, expected with any major retail destination. What makes it stand out though, is that employees are trained to be truly supportive of one another. The retail store is set to open another branch (complete with a walk-in clinic) in Aurora, Colorado. Roche Constructors have been given the opportunity to work on the project, which will cover an area of more than 70,000 square feet. The company is known throughout Colorado for offering a wide assortment of products, from the simplest necessities to niche-specific goods. King Soopers is generally perceived as a convenient and friendly place that continuously improves to provide a better buying experience. King Soopers works with a different charity each month. They provide customers the opportunity to give donations during checkout, making it easier for anyone to help. They have worked with some well-known charities in the past, such as Children’s Hospital. 1 How old do you have to be to work at King Soopers?